Discounts and shipping costs will be added on checkout. 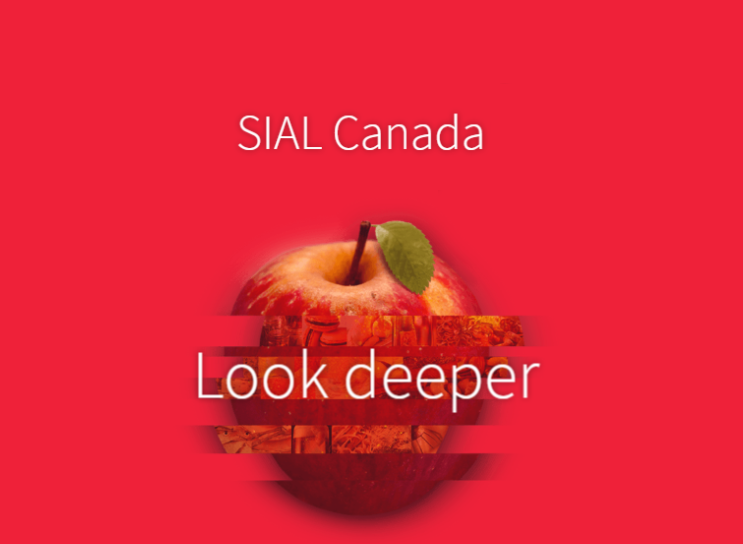 SIAL Canada is not only key to the Canadian agrifood industry, it is also a privileged entryway to the US and international markets. SIAL is now the only event of its scale in Canada, with more than 850 national and international exhibitors from 50 countries hosting over 15,000 buyers from Canada, the U.S., and 60 other countries. SIAL Canada is the only national trade show that offers a complete range of food products under one roof to meet your customers’ expectations. Whether you work in the retail, catering or food processing industry, or you’re simply looking for new and innovative products or regional specialties from around the world, you’ll find exactly what you need right here. Www.carandini.it collects some Personal Data from its Users. Among the types of Personal Data that www.carandini.it collects, by itself or through third parties, there are: Cookies; Usage Data; company name. Users are responsible for any third-party Personal Data obtained, published or shared through www.carandini.it and confirm that they have the third party's consent to provide the Data to the Owner. The Owner takes appropriate security measures to prevent unauthorized access, disclosure, modification, or unauthorized destruction of the Data. The Data processing is carried out using computers and/or IT enabled tools, following organizational procedures and modes strictly related to the purposes indicated. In addition to the Owner, in some cases, the Data may be accessible to certain types of persons in charge, involved with the operation of www.carandini.it (administration, sales, marketing, legal, system administration) or external parties (such as third-party technical service providers, mail carriers, hosting providers, IT companies, communications agencies) appointed, if necessary, as Data Processors by the Owner. The updated list of these parties may be requested from the Owner at any time. The Data concerning the User is collected to allow the Owner to provide its Services, as well as for the following purposes: Analytics, Contacting the User and Platform services and hosting. The User's Personal Data may be used for legal purposes by the Owner in Court or in the stages leading to possible legal action arising from improper use of www.carandini.it or the related Services. The User declares to be aware that the Owner may be required to reveal personal data upon request of public authorities. For operation and maintenance purposes, www.carandini.it and any third-party services may collect files that record interaction with www.carandini.it (System logs) use other Personal Data (such as the IP Address) for this purpose. Www.carandini.it does not support “Do Not Track” requests. To determine whether any of the third-party services it uses honor the “Do Not Track” requests, please read their privacy policies. Information collected automatically through www.carandini.it (or third-party services employed in www.carandini.it), which can include: the IP addresses or domain names of the computers utilized by the Users who use www.carandini.it, the URI addresses (Uniform Resource Identifier), the time of the request, the method utilized to submit the request to the server, the size of the file received in response, the numerical code indicating the status of the server's answer (successful outcome, error, etc. ), the country of origin, the features of the browser and the operating system utilized by the User, the various time details per visit (e.g., the time spent on each page within the Application) and the details about the path followed within the Application with special reference to the sequence of pages visited, and other parameters about the device operating system and/or the User's IT environment. The individual using www.carandini.it who, unless otherwise specified, coincides with the Data Subject. The natural or legal person, public authority, agency or other body which, alone or jointly with others, determines the purposes and means of the processing of Personal Data, including the security measures concerning the operation and use of www.carandini.it. The Data Controller, unless otherwise specified, is the Owner of www.carandini.it. The service provided by www.carandini.it as described in the relative terms (if available) and on this site/application. www.carandini.it belonging to Acetificio Carandini Emilio SPA, a company with registered office in Via per Formigine 54/A, Castelnuovo Rangone (MO) entered in the companies register Economic Administrative Index no. MO no. 247721, VAT number 01858700360, mail info@carandini.it indicated as "Seller” below. All distance contracts of our products are concluded directly through the customer/consumer’s (hereinafter simply "Customer") access to the website www.carandini.it (hereinafter simply "Site"). They will be able to select the products displayed on the sales catalogue, as described in the respective product information sheets, and conclude the contractual purchase agreement for the desired product (s) by including them in the "shopping cart" function which provides for subsequent forwarding of the order to the seller through the user’s consent with a click on the buy and pay button. The agreement between the parties is finalized with the sending of the order and the receipt by the Seller of payment for the ordered goods. The payment of the goods constitutes an essential part of the purchase contract, in fact the non-receipt of the latter by the Seller will cancel the purchase contract with the consequent failure of the obligation to forward the goods. The payment of the goods, for the purpose of concluding the purchase contract, must be made exclusively through one of the methods indicated in the following paragraph 3. The order sent by the Customer to the Seller through the Site must be completed in its entirety and must contain the elements necessary for the identification of the Customer and the products ordered and the indication of the place of delivery, on penalty of invalidity. The Seller will send an order confirmation to the Customer via e-mail. As approved by art. 48 of Legislative Decree 206/05, the general conditions must be read and approved by the Customer before the conclusion of the contract. By sending the order, the Customer simultaneously declares to have read all the information provided to him/her during the purchase procedure and to fully accept these general sales conditions. If the Customer is a consumer (i.e. a natural person who buys the goods for purposes not related to his professional activity), once the online purchase procedure is completed, he/she will print or save an electronic copy and in any case keep these general conditions of sale, in compliance with the provisions of Italian legislation on distance contracts. The relative document or, if required, the invoice certifying the sale of the product (s) will be delivered together with the goods and/or by e-mail to the address indicated by the Customer at the time the goods are prepared for departure. The visual representation of the products on the Site, where available, is intended to illustrate the product and corresponds to the photographic image representative of the product’s characteristics, however it may be slightly different in colour. If a product is shown on the Site in areas other than the specific sections intended for the purchase of products or in any case without the "add to cart" icon, it is not available for sale through the Site. The unavailability of the product is temporary up to new supply. All product prices are clearly indicated on the Site and refer to the unit price per package including VAT. The Site can only receive orders with delivery in Italy and in the following European countries: Austria, Belgium, Croatia, Denmark, France, Germany, Finland, Greece, Ireland, Luxembourg, Monaco, Netherlands, Portugal, Spain, Sweden, United Kingdom , Bulgaria, Cyprus, Czech Republic, Estonia, Hungary, Latvia, Lithuania, Malta, Poland, Romania, Slovakia, Slovenia and in the following Extra EU countries: Republic of San Marino, Norway, Switzerland, Montenegro, Serbia, Ukraine, Liechtenstein, Albania, Andorra and Bosnia & Herzegovina. The seller reserves the right to change product prices and shipping costs at any time and without notice, it being understood that, limited to orders being accepted or already accepted by the Seller (for which payment for the ordered goods has already been received ), the sales conditions in force at the time the order is sent will apply, with the exclusion of orders not accepted (orders for which the customer has not received confirmation of receipt of the order by e-mail) and rejected. Transport costs are listed separately, clearly for the Customer within the "shopping cart" function before purchase confirmation. Before sending the order, the Customer can view it and if he/she deems it appropriate, he/she can abandon the purchase without any obligation to spend. The cost of each shipment may vary according to the number of products purchased, the weight and size of the packaging. Shipping costs are taken to be up to the ground floor of the place of destination indicated by the customer when placing the order and are listed separately in the "shopping cart" under the heading "Checkout”. Any additional ancillary expenses - by way of example but not limited to, linked to customs fees, monetary inflation, etc. - will be communicated to the Customer by e-mail from the courier before shipment of the goods; in case of an e-mail of non-acceptance by the Customer of the additional costs indicated, the order will be considered cancelled and the contract will be considered void. If additional charges are incurred, they may refer to bank commissions provided for by the agreements of individual customers with their credit card issuers or banks. These charges do not depend directly on the Seller, which cannot be held responsible in any way. Payment must only be made in Euro. I. Credit cards: by selecting this payment method, the Customer's browser is automatically redirected to the site responsible for payment, showing the order summary data and the parameters necessary for completing the transaction. The browser connects to the page containing a form in which the customer must enter the data relating to his/her credit card or chosen method with which he/she intends to make the payment. Once the payment transaction is completed, the user can be redirected to the Seller's site or choose to continue browsing. II. PayPal: this is a system that allows transactions to be carried out online (purchases, payments, transfers) but without the data of one's card or bank account being shared with the recipient of the payment. To use PayPal, you must register on the site and open an account, you can link a credit card or a prepaid card to it or top up by bank transfer from your bank account. When you have money in your account you can pay for the products by following a simple wizard provided by the PayPal function. For more information, visit www.paypal.com www.stripe.com) and PayPal transactions. Deliveries will be made as soon as possible upon receipt of payment by courier indicated by the Seller. The goods will be shipped from the factory in Castelnuovo Rangone (MO). The risks deriving from the transport of the goods shall be borne by the Seller until delivery is made. The risk will be transferred to the Customer upon delivery of the products to the Customer, or to those designated by him for the receipt of the goods, by the shipper. The courier makes a first and second delivery attempt for each shipment, in the absence of the customer he will leave a notice with the necessary contact information and retry delivery on the first working day available. The Customer must arrange for collection of the products by making themselves available. The Customer acknowledges that the collection of the products represents an obligation deriving from the sales contract concluded with the Seller. Therefore, in the event that even the second delivery attempt by the courier is unsuccessful, the contract shall be deemed terminated by law pursuant to art. 1456 of the Civil Code, with a simple communication by the Seller sent by e-mail to the Customer, and, therefore, to all intents and purposes the order will be cancelled. Within 15 days of the aforementioned communication, the Seller will then reimburse the total amount paid by the Customer for the products, minus the costs of the unsuccessful shipment, the costs of returning the products to the Seller and any other expense that the Seller has incurred through non-delivery due to the absence or inaction of the Customer in fulfilling the obligation to receive the delivery. The reimbursement due in the previous paragraph will be credited to the same payment method used by the Customer. Once the refund has been made as described, if the Customer wishes to request delivery of the products, he/she will necessarily have to proceed with a new order. - the package is intact and not damaged or tampered with. Any anomalies (such as, for example, tampering with or damage to the packaging) must be specifically indicated in writing directly on the courier's delivery note, and the Customer must refuse delivery. At the same time, the Customer will be required to report the fact to the Seller’s Customer Service, by reporting it immediately to customerservice@carandini.it. All communications that, pursuant to the General Conditions, are made by e-mail will be sent to the address communicated by the Customer during the Registration phase. The sale contract concluded under the General Conditions is governed by Italian law. For any dispute that may arise regarding the interpretation of the General Conditions and the execution of the contract concluded pursuant to the aforementioned, the Court of the User's place of residence or domicile will have jurisdiction, in the case of a consumer resident or domiciled in Italy. If the User is not resident or has no domicile in Italy, for any controversy that should arise between the Seller and the Customer regarding the interpretation of the General Conditions and the execution of the contract concluded in accordance with the aforementioned, in the case of action promoted by the Seller, the latter may choose between the Court of Modena and the Court of the place of residence or domicile of the Customer, alternatively between them; in the event of action brought by the Customer, the Court of Modena will have sole jurisdiction.